I love these poems. 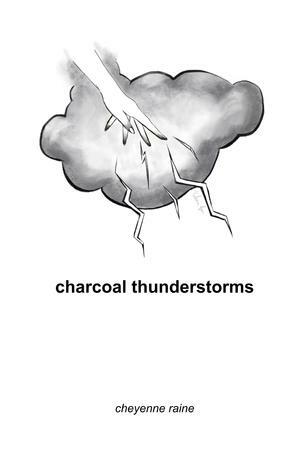 charcoal thunderstorms has lovely phrases that are lyrical and stunning. charcoal thunderstorms is a collection that dances with a more youthful and adventurous escape of poetry. the book has eighty poems divided into five chapters and six short stories and tales. the paperback version allows for the reader to create art within the pages where the poems dwell. there is an art to loving a storm, here is where it begins. I love the way these poems are laid out and organized. There is amazing content and each poem gives you a little glimmer into a stunning world. The collection is entrancing. It lulls you and feels like you’re talking to a friend who says things you can only think about in the darkest corners of the night. Some of these poems are particularly meaningful for me. They pinpoint love and all the feelings attached to it. The collection is simple, but full of meaningful imagery that seeks to soothe you, to rouse you, to connect with you, and make it seem like you’re not alone. Do you like rhyming poetry?